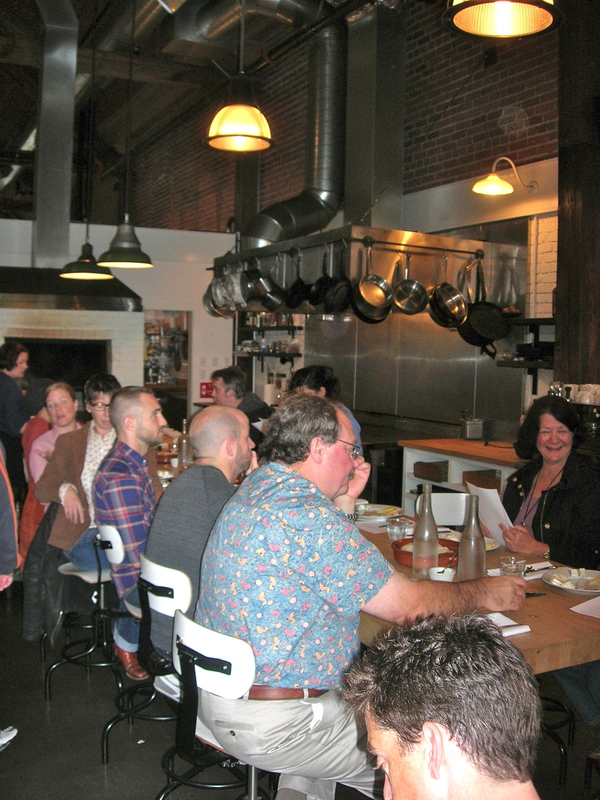 Come to Paulette’s Slow-Food lamb dinner this Saturday! 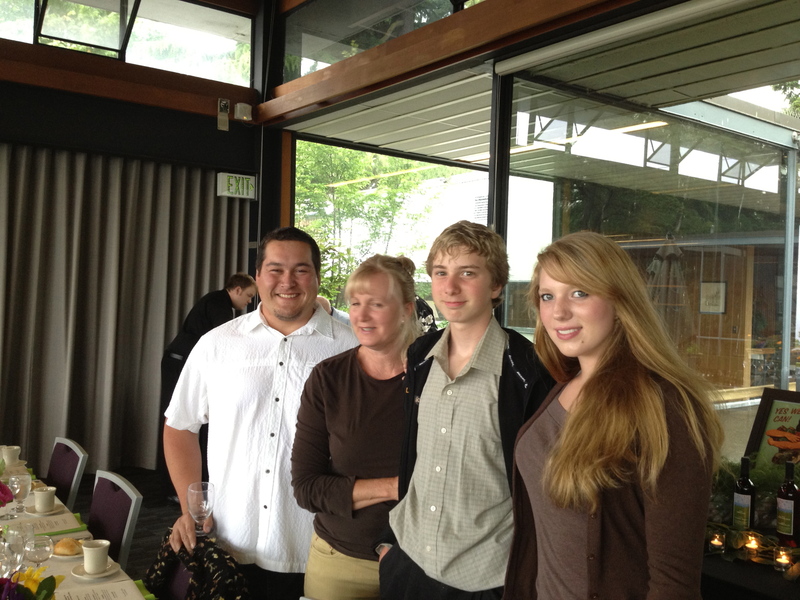 I’ve been raving for some time now about Goldendale rancher Paulette Lefever and her kids Madison and Conor. 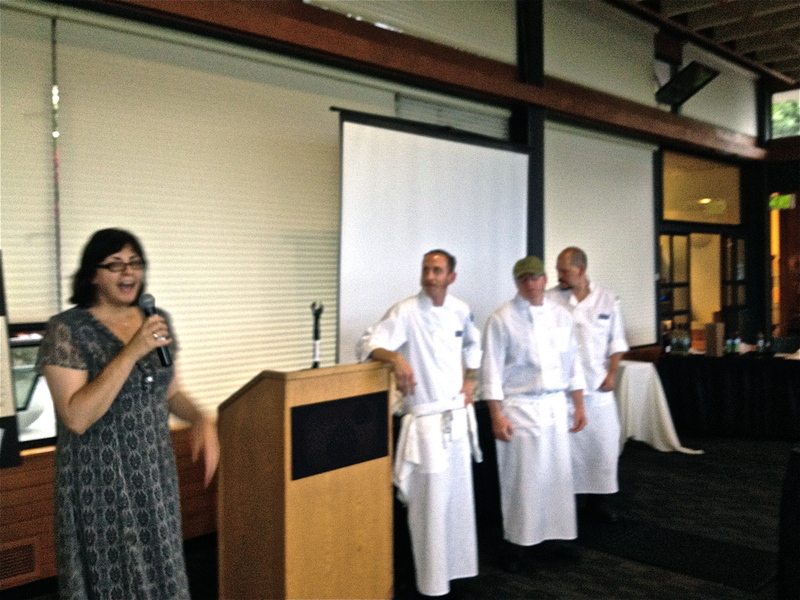 Now’s your chance to meet them and feast on Paulette’s succulent grass-fed, hand-raised lamb! This Saturday June 16th, the UW Club is hosting a Slow Food dinner featuring lamb from the Lefever/Holbrook Ranch and wine pairings from the Waving Tree Winery, a small winery in Klickitat County down the road from the ranch.The UW Club’s fantastic chef Jon Maley and his staff have built a beautiful menu to showcase the products from these two Washington food artisans. As I write this, I’m sitting in a house filled with the aromas of a lamb shoulder roast I got from Paulette slow-roasting in a thicket of rosemary sprigs and cloves of garlic. Two more hours before I can eat!—I’d like to go in there right now and swallow the meat, the pan, and the oven all together. 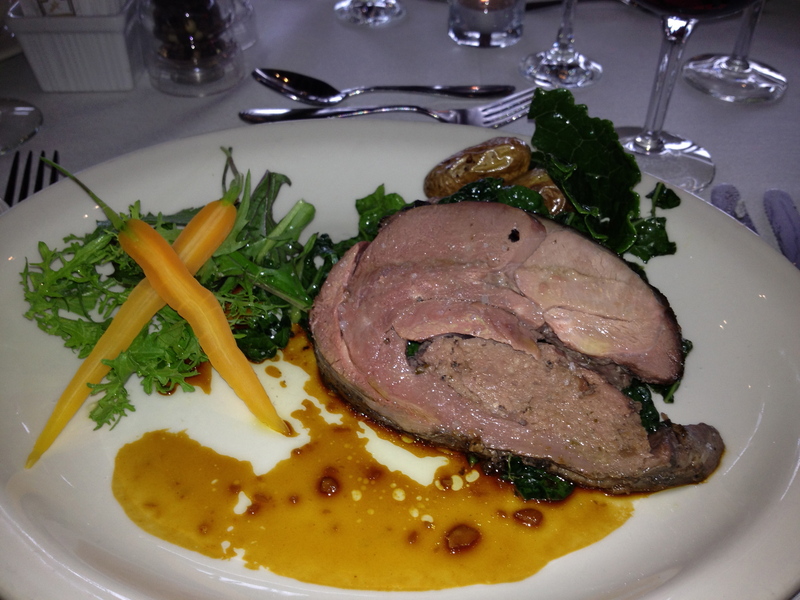 Trust me, you don’t want to miss this chance to savor this beautiful lamb! 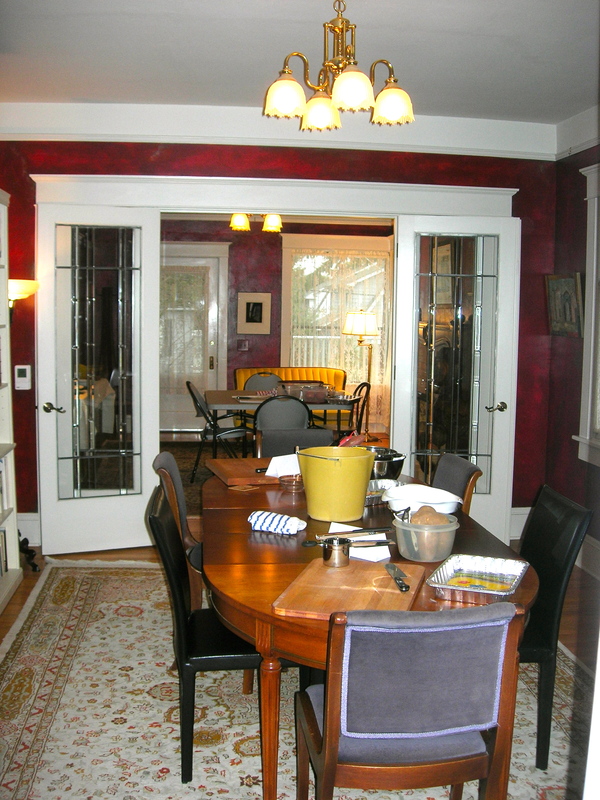 Not a member of the UW Club?–No worries! For this event, club manager Alex Chordas tells me that non-members are welcome to attend. (You can pay in cash when you get there. Note!—No credit cards.) Don’t miss it!—And if you’d like to sit at my table, let me know—Alex will make sure we make up a “party” (this will not be a hard task . . .). Paulette tells me that “one of the best experiences for someone in food production is to share with others the fruits of their labor.” She and the Waving Tree folks are looking forward to sitting down to a great meal with you and a roomful of like-minded people. Stats: Saturday June 16th, $50+tax, starts at 6:00 pm, UW Club on the University of Washington campus. Call 206-543-0437 to make a reservation. I hope to see you there! This is a very special evening about Slow Food. Grazed on native dry land hills and pastures of Lorena Butte in Klickitat County, Lefever/Holbrook natural spring lamb is free of added hormones and are never fed antibiotics. Lefever/Holbrook Ranch focuses on achieving balance that protects the environment, promotes sustainable agriculture, practices humane treatment of food animals and supports the rural family. Ranch owner Paulette Lefever will be at the Club to talk about her 30 years of experience in the food and livestock industry. 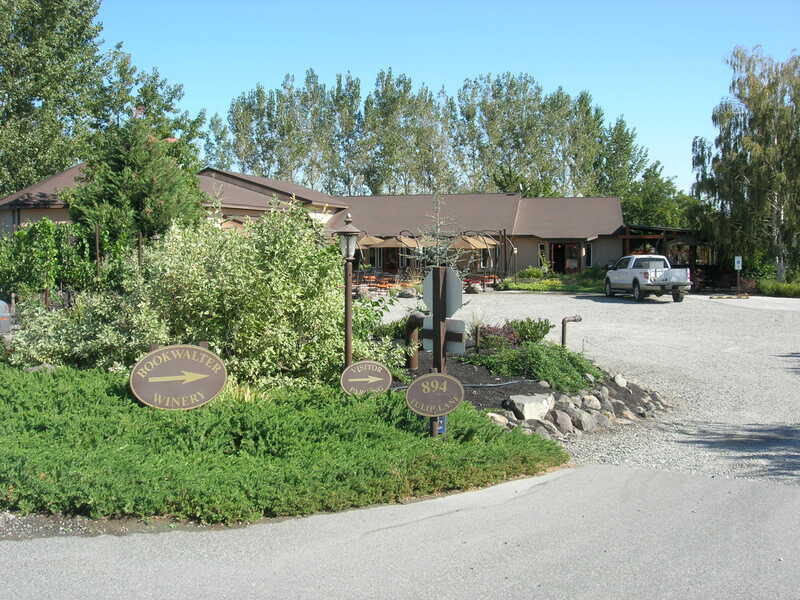 Waving Tree Winery is a small, family owned winery down the road from Paulette’s Ranch concentrating on red wines. Their vineyard has the longest growing season of any area east of the mountains. Don’t miss this wonderful evening celebrating Washington’s bounty. Every April, the Tulip Festival draws pretty much the entire population of Seattle north to the Skagit Valley to marvel at the giant ribbons and patches of red, pink, yellow, and orange that quilt the valley’s fields as the flowers come into bloom. 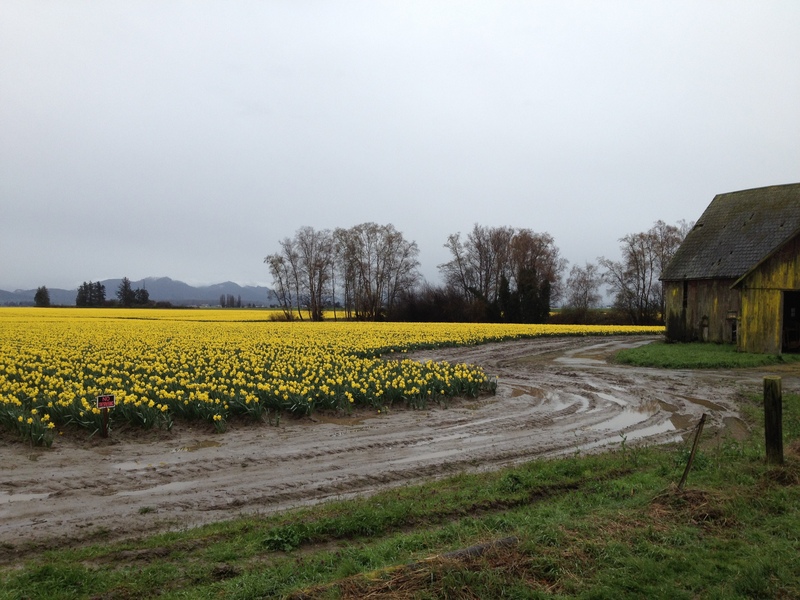 The article about the festival in the paper yesterday offered an “If you go” sampler of other attractions to take in while you’re there, but left out one of the best–the “Celebrate Skagit–Dinner on the Farm” on Saturday April 14th. Don’t miss it!–There are only a few seats left! What’s on the menu? To start, Skagit Valley yields a prodigious crop of potatoes, and some of them may show up on your plate, but others will arrive in a glass!–Skagit Yukon Golds, distilled into vodka, will anchor a signature cocktail created by Skip Rock Distillers for this event. 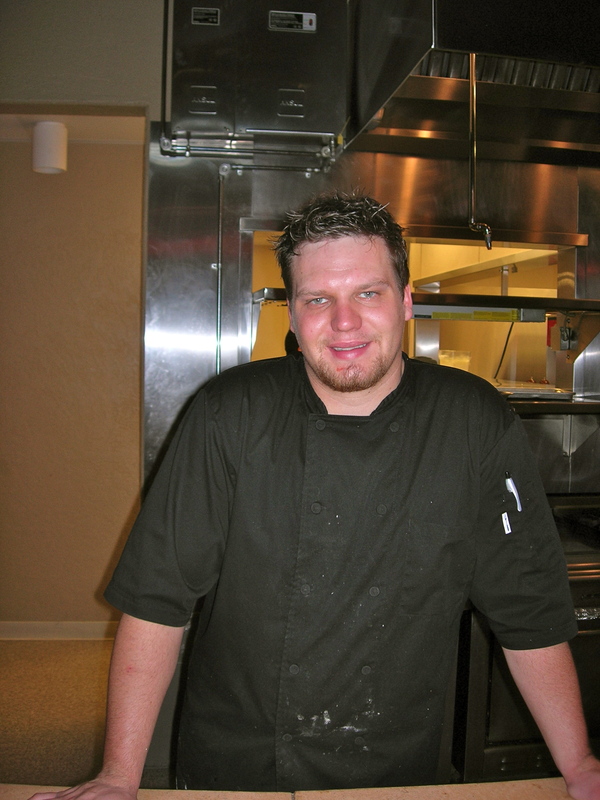 For the meal itself, chef Michael Miller is creating appetizers and a four-course dinner from the diverse harvests of the valley–seafood, meat, cheese, grains, produce, berries, and more. 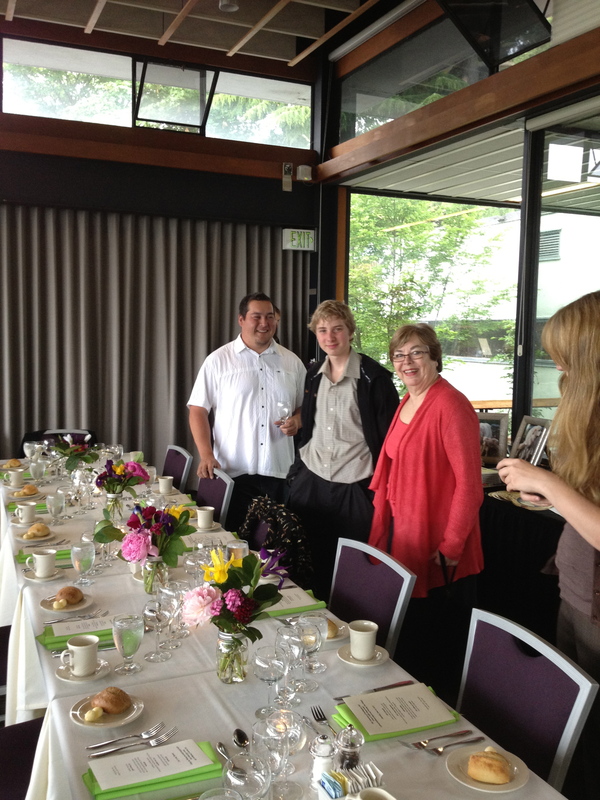 And Hellam’s Vineyard of La Conner will be selecting Washington wine pairings for the dinner. The dinner will be elegant, but don’t show up in black tie! 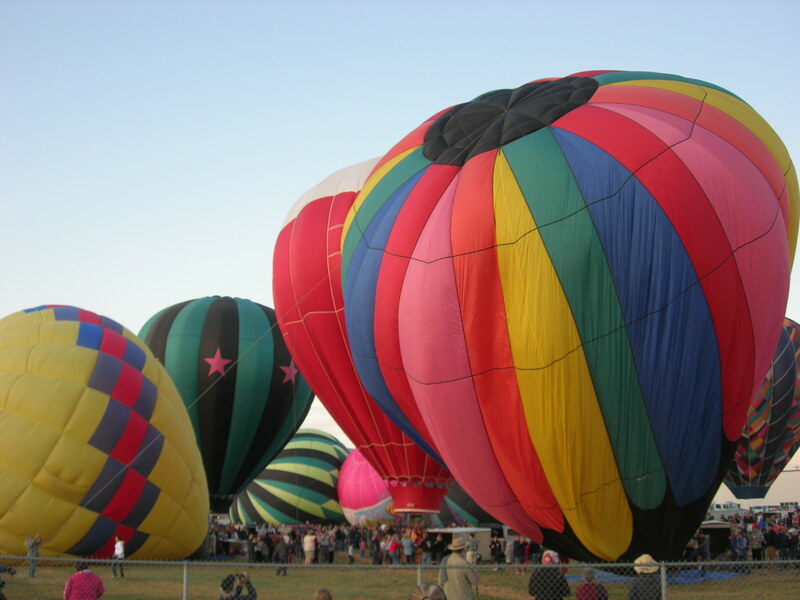 The event will take place rain or shine, and remember, you’ll be on a farm–the website recommends galoshes, jeans, and jackets. After Barnard Griffin (nice folks! 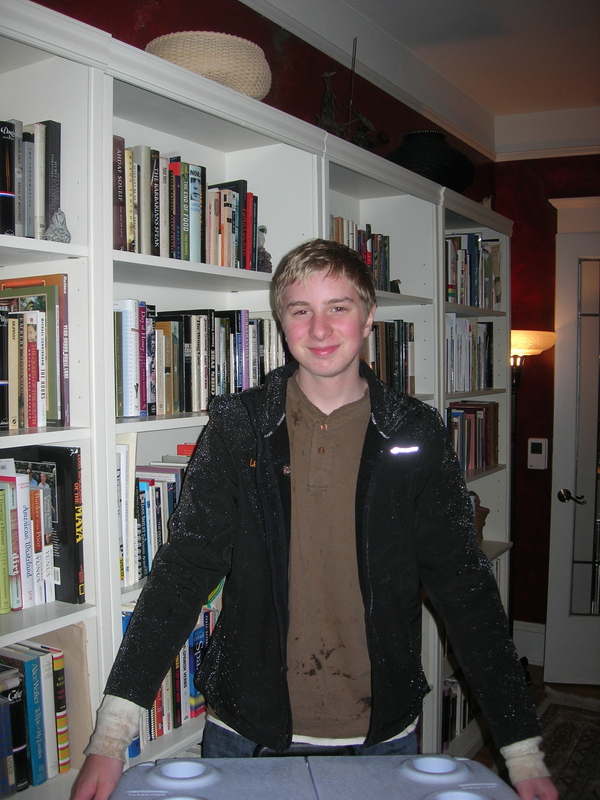 ), I walked back over to Bookwalter. This winery really exercises the “book” motif. The wines have names like “protagonist,” “subplot,” and “foreshadow.” They have a “book club,” and they offer a “library” of wines. I tasted a couple of outstanding reds, especially the 2008 Foreshadow merlot and 2009 Antagonist syrah-cabernet-malbec blend. (But seriously–completely out of commemorative wine glasses, on the first day of the biggest tourist event of the year?) This is where I also heard the first throat-clearings of what would be a trip-long running conversation about AVAs. I already had a sketchy idea about AVAs (American Viticultural Areas), also called appellations, but now I was right in the neighborhood. 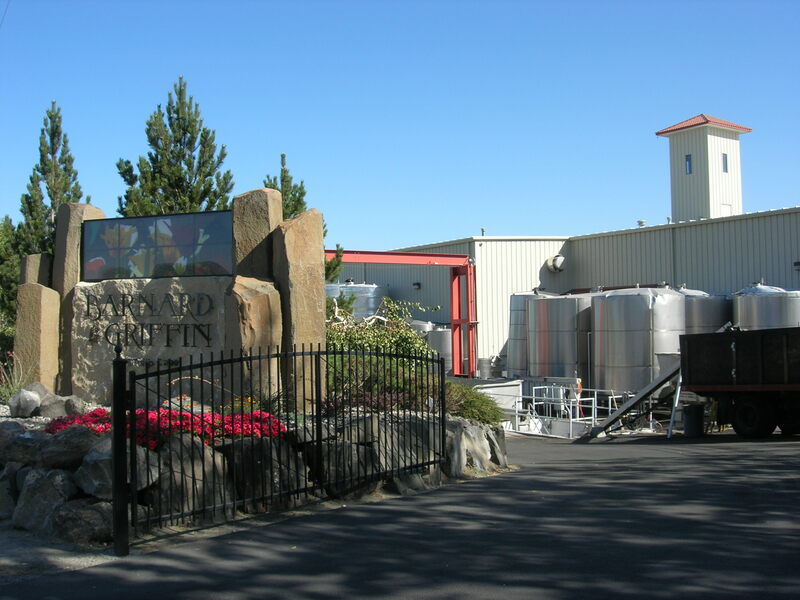 That 2009 Antagonist?–mostly grapes from the Columbia Valley AVA, with some from Elephant Mountain Vineyards, on the southern slope of Rattlesnake Ridge, in the new appellation of Rattlesnake Hills. 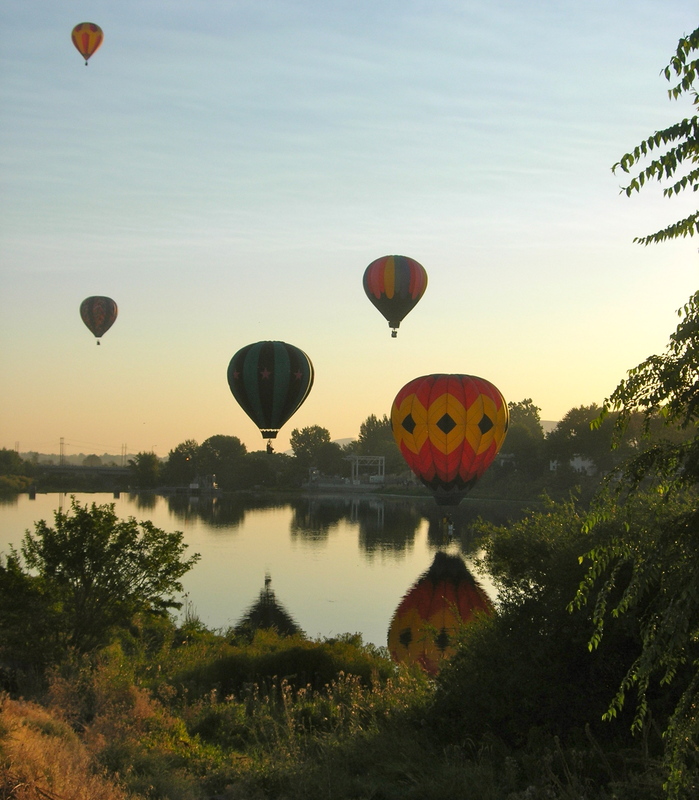 Take Highway 82 up toward Zillah–you can’t miss it. 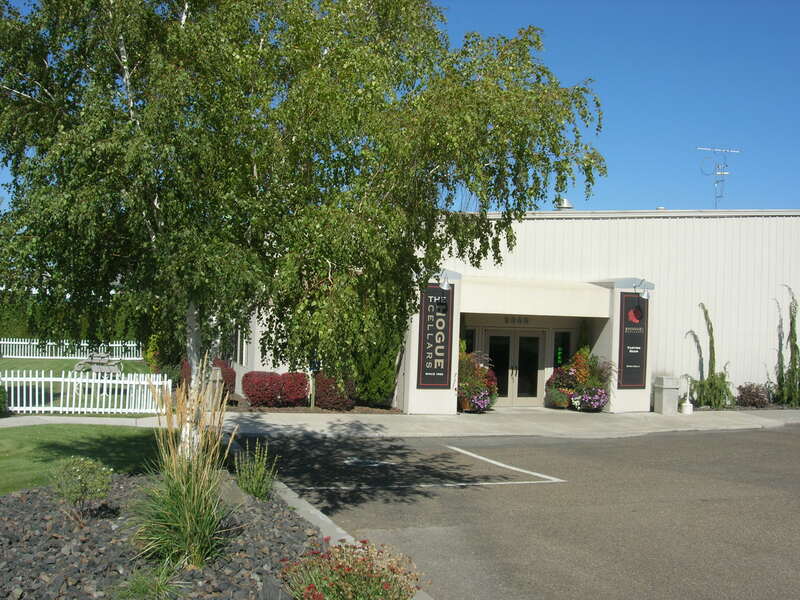 Next, I made my way over to my old friend Hogue Cellars, one of the largest Washington wineries. (Their red label is a staple on grocery store shelves.) These folks make some really good wines! A standout that was new to me was the 2010 Terroir bII, a Bordeaux-style blend of 90% semillon and 10% sauvignon blanc, made from grapes grown on the Fries Vineyard in the Wahluke Slope AVA. (The Fries family owns the Duck Pond and Desert Wind labels, but also, I gather, sells grapes to other winemakers.) I also really liked the 2008 Reserve chardonnay, from grapes grown in the Yakima Valley AVA; they produced only 100 barrels of it that year. (I know this because the enthusiastic young pourer told me so. This and much, much more.) I usually just grab their chard, but I’ll explore a little deeper on the Hogue shelf after this tasting! 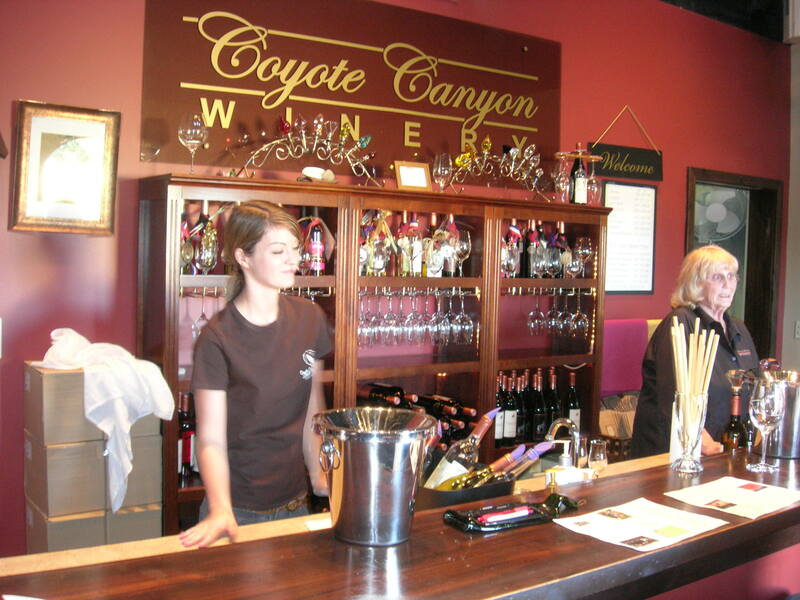 Then, after a couple of false starts, I made my way to the Desert Wind Winery. (It’s right there on that hill!–Why can’t I find my turn??) 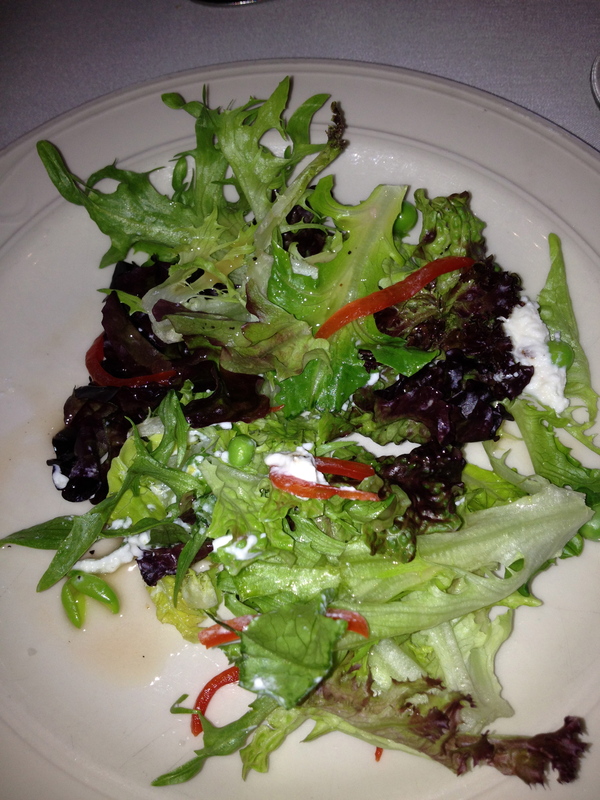 I sensed that lunch was getting important, so I went straight to the winery’s restaurant, Mojave by Picazo. Good choice! 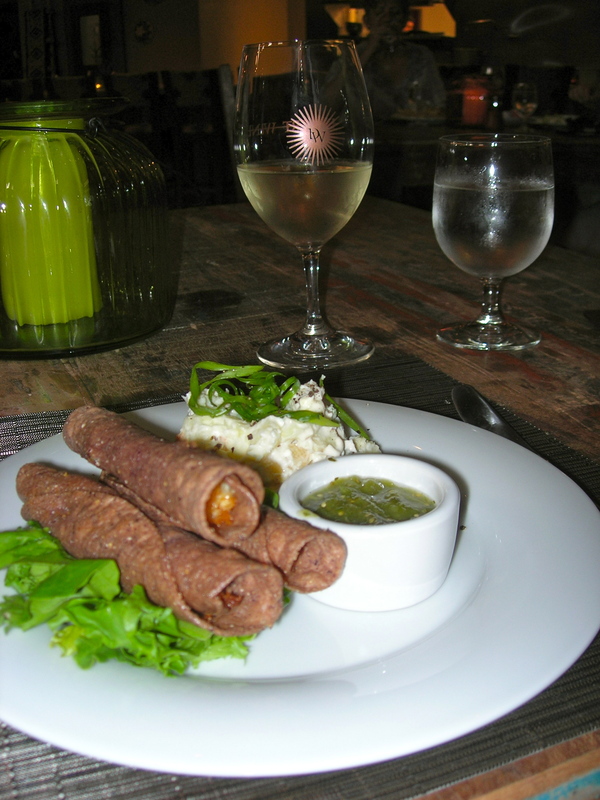 I had the blue crab “cigars”–hand-rolled feather-light blue corn tortillas filled with blue crab, served with a tart fresh tomatillo salsa. (Wait, aren’t blue crabs from the Atlantic coast? What a hike to eastern Washington! But I digress.) The side of gargonzola potato salad was spiked with tiny bacon bits and bright with green onions. Tasty! With it, I had a glass of Desert Wind sauvignon blanc (made from grapes grown in the Wahluke Slope appellation in the larger Columbia Valley AVA). And what a dessert!–molten Mexican chocolate lava cake with a lightly salted caramel drizzle. Had to wait for it to cool a bit!–Not easy. I caught chef Chris Nokes to ask him about the “cigar” filling, which had been riffling some little edge of a food memory. “Think spinach artichoke dip, but without the spinach, crab instead, rolled up in a corn tortilla. Add a touch of parmesan.” Got it! After lunch, I took in their tasting and found two more excellent whites–a slightly oaked 2009 chardonnay and a 2009 semillon. Sound like a lot of wine?–Remember: in a tasting, you tilt your nose down into your glass and breathe over the little splash of wine at the bottom, then you tip your glass up and moisten your mouth with the wine and breathe again. Maybe you swallow a trickle–then you dump out the rest into a big jar on the counter. This is wine-tasting, not wine-swigging. Which is why I wasn’t sprawled on the gravel out in the parking lot. But I wasn’t done yet! After my late lunch I met up post-golf with Denise and Diana and we hit four more tastings. Now that I had the two of them to talk to, my note-taking tailed off, but at least I noted our stops: Airfield Estates (another winery working a motif; we tasted wines named Runway, and Aviator, and Lightning); Coyote Canyon Winery, where my pick was the 2010 Albariño, a Spanish grape that Coyote Canyon was apparently the first in Washington to plant, at Coyote Canyon Vineyards in the Horse Heaven Hills AVA; Milbrandt Vineyards, with its own fantastic riesling fragrant with fresh grapefruit; and Apex Cellars Winery, where I found maybe my best wine of the day, a beautifully creamy oaked chardonnay. (I tend to choose whites over reds, and this trip was no exception.) Finally, done for the day! On Saturday, now with reinforcements (friends CJ and John had pulled in on Friday evening), we headed for Red Mountain. 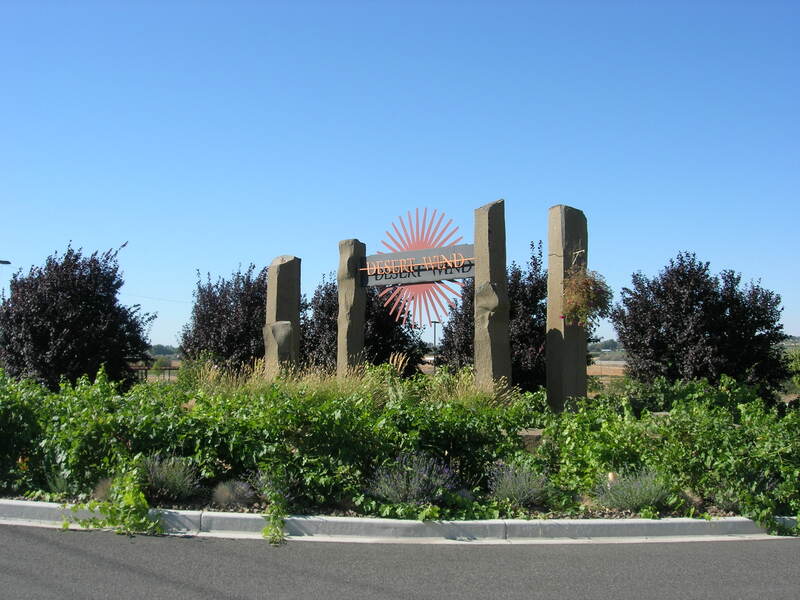 The Red Mountain AVA, a triangular wedge just east across the Yakima River from Benton City, is, at 4,000 acres (with only 600 of that in cultivation), the smallest appellation in Washington. Our map showed 14 wineries in the AVA, but we tasted at just two. 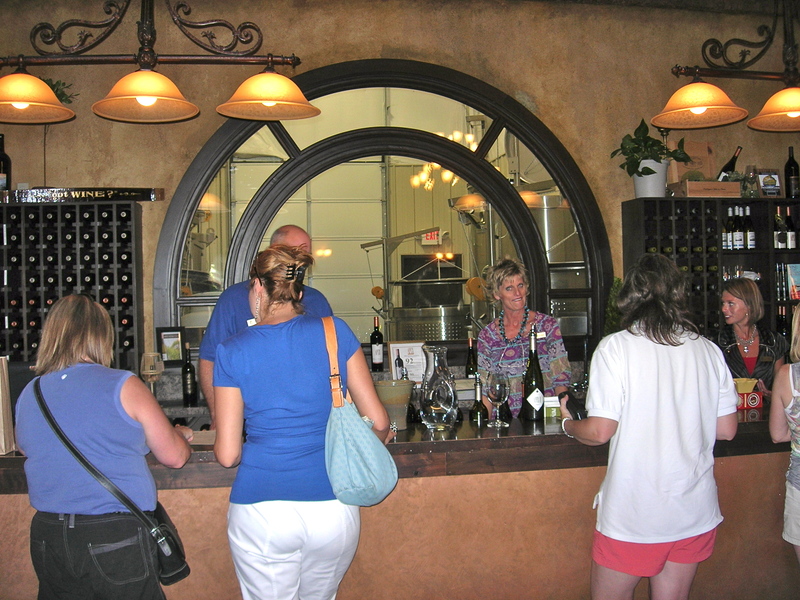 At the Kiona Vineyards Winery, the tasting stretches out along a couple of intersecting long rooms, each with stations offering several wines. I was taken with a spicy rosé (I believe it was their Mourvédre rosé, though they also have one made from sangiovese grapes; my notes fail me here). I also really surprised myself by loving a late harvest sweet wine! Next we visited Tapteil Vineyards Winery, where the cabernet sauvignon was most interesting to me (also a surprise because of its strong tannin, which I don’t usually go for). The Tapteil tasting room was refreshingly homey and the people were good-humored and helpful. By now, mid-Day Two, I had given up trying to take pictures, and I began to notice a certain truculence in my reactions to the wines I was tasting. I know that we stopped at Hightower Cellars, but my only note, quoted completely, is “cab sauv.” I was already familiar with Kestrel Vintners; I had visited their tasting room a couple of years ago, and had belonged to their wine club for a year after that. They have a great old-vine chardonnay and a very light sauvignon blanc, as well as an array of reds from easy quaffers like Lady in Red to serious high-end merlots and cabernet sauvignons, But by the time we got there, my palate was too exhausted to detect much beyond “red” and “white.” I didn’t write a single note! On the up side, they were serving a cheerful spiced-wine punch that brightened us up considerably. Finally, at our last stop, Mercer Estates, I tasted a 2009 pinot gris that I could rise to “love”–but I can only guess why because I didn’t make a single other comment! And so my wine-tasting shambled to an end. But now, with the end-of-year holidays finally here, I find myself buying a lot of wine for my friends, and as I reach for this bottle or that, I often let my hand be guided by my memories of these tasting rooms and labels, these helpful people, friendly winery dogs, and lovely golden fields braided with rows of grapevines. Desert Wind, Kestrel, Barnard Griffin, Kiona, Mercer, Apex, Milbrandt. 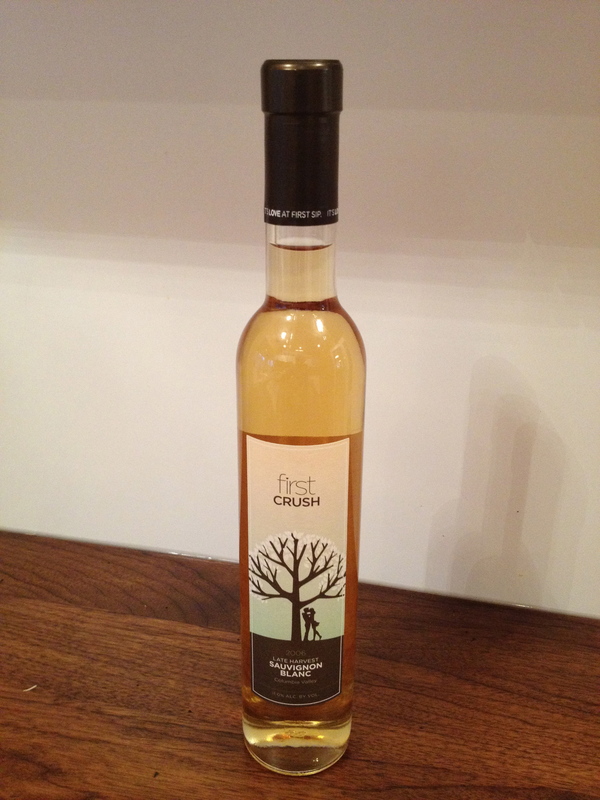 And I still have my slender bottle of First Crush, Kiona’s 2006 Late Harvest Sauvignon Blanc, a liquid-gold dessert wine produced from nearly frozen grapes. Maybe I’ll open it this New Year’s Eve to sip with my own attempt at Mexican chocolate lava cake! 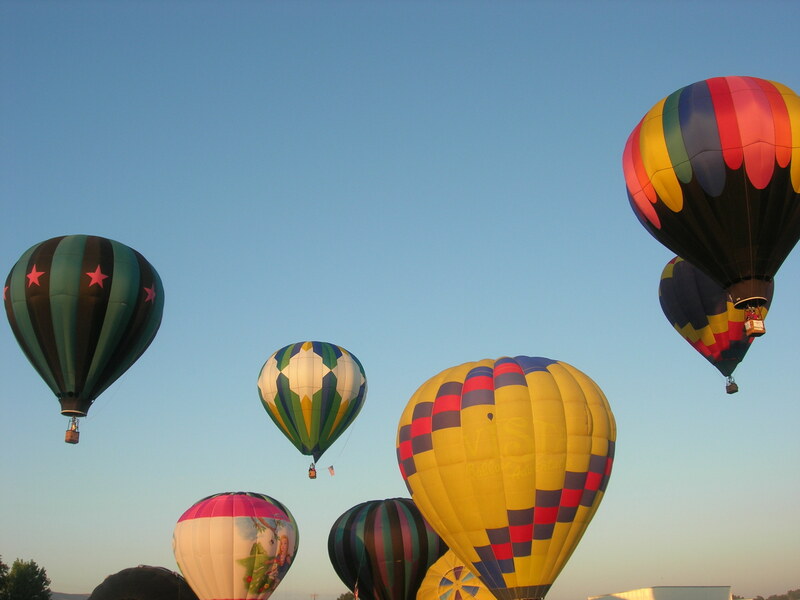 On the Sunday of that long weekend, we got up early to make it to the Prosser airport by 6:00 (that’s in the morning) for the Great Prosser Balloon Rally. Look!–They launched a whole blue sky of ornaments! Happy wine tasting, and Happy New Year! You may recall my post (almost a year ago now!) 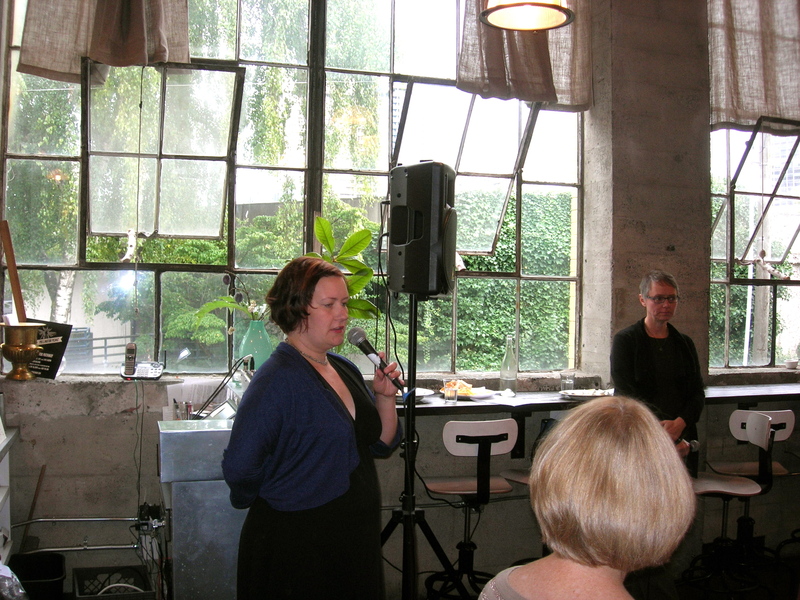 about Cheese 101, the excellent introduction to world-class cheeses by cheesemonger Sheri LaVigne. Browsing in Sheri’s store The Calf & Kid after class, I picked up Tami Parr’s great book on the Artisan Cheese of the Pacific Northwest and proceeded to munch my way throu gh a big chunk of it. 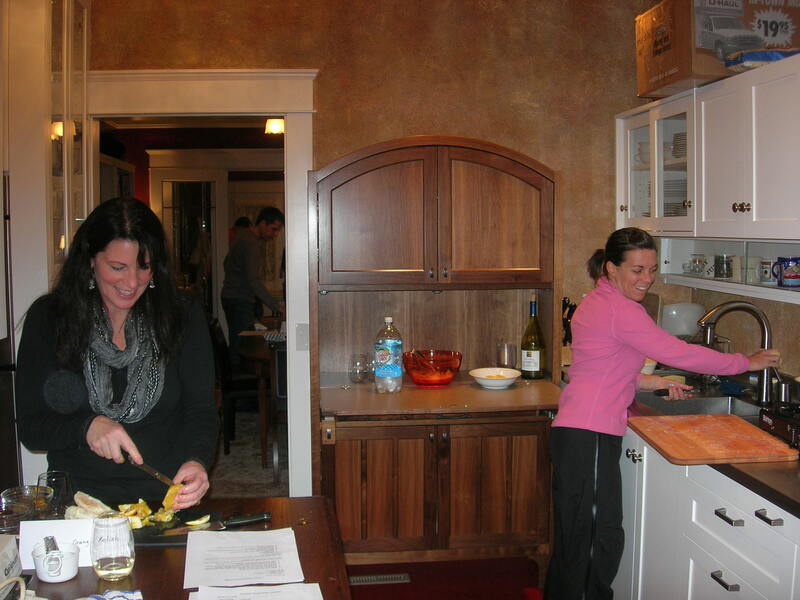 So how could I resist when Sheri offered a second cheese class hosted by Tami herself? We tasted our way around a first plate of eleven cheeses, starting with a fresh chevre from Yarmouth Farms (at high noon in this picture). I’ve mentioned Louise Yarmouth’s French Creek cheese before, but I gather that she now produces only this chevre. [This just in!–Sheri tells me I got it wrong. In fact, Louise also produces bloomy rind cheeses and two or three aged hard cheeses. Better and better!] To make the chevre, she blends the milk from the four breeds that make up her 25-goat herd. 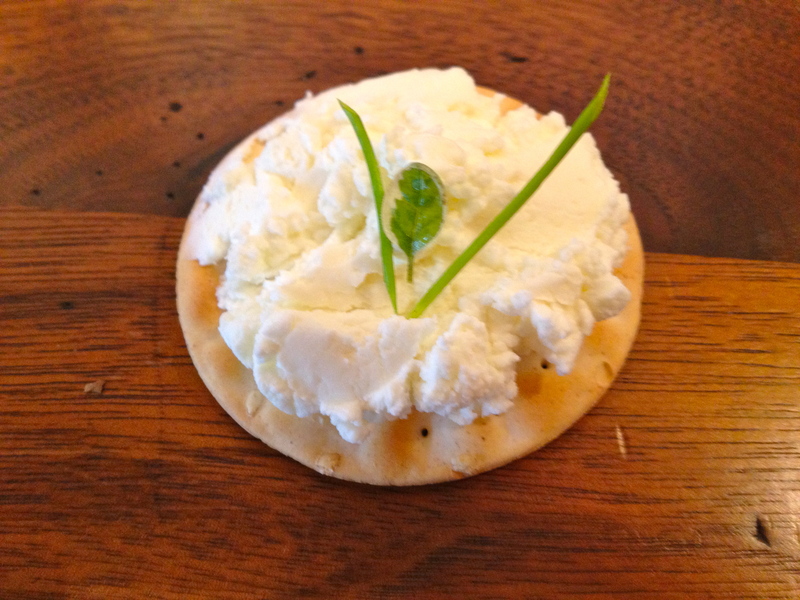 It’s an airy fluffy chevre that I liked so well I went back for a little tub of it; I served it on crackers with just a simple herb garnish. The next two cheeses (at 1:00 and 2:00 on the plate) are Dinah’s Cheese from Kurtwood Farms on Vashon Island and Seastack Cheese from the Mt. Townsend Creamery over in Port Townsend. (Dinah is one of Kurt Timmermeier’s six Jersey cows; I told you earlier about his adventures becoming a farmer. ) Both of these soft-ripened cheeses, made from pasteurized cow’s milk, are buttery, earthy, and aromatic. Not from Seattle?–You can get them in many regional grocery stores that have fine-cheese counters. 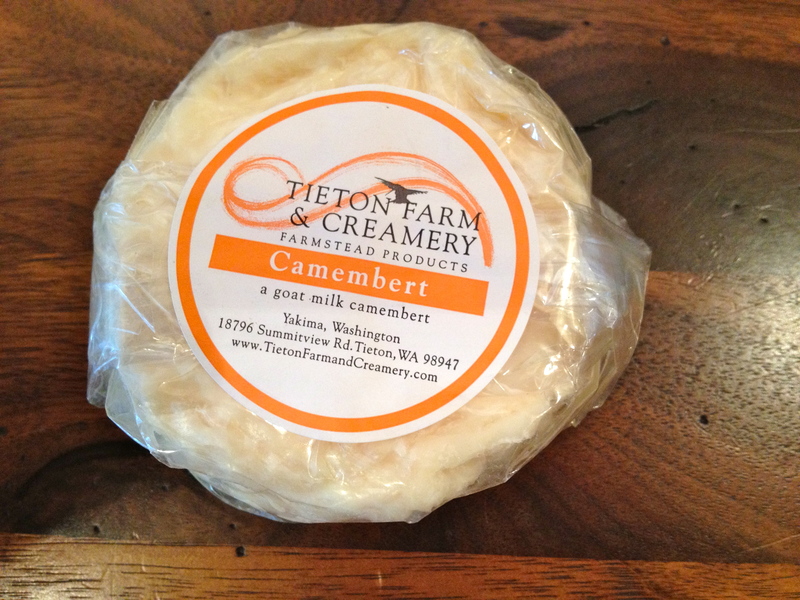 The next cheese, an “ashed camembert” from Tieton Creamery in Yakima, was a real find. Made from pasteruized goat and sheep’s milk (Tami tells us that owners Laurie and Ruth mix the milk of their 16 goats and nine sheep), this soft-rind cheese was creamy and rich. I went back to get more of it too, but ended up with a different camembert–also made from goat and sheep milk, but not ashed. 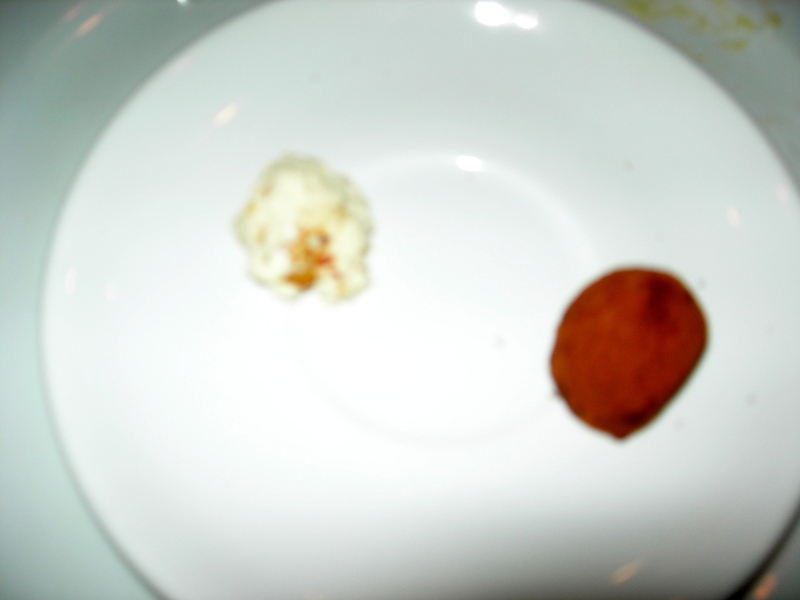 This very soft, pungent camembert was lovely but I’m holding out for the one I first tasted; stay tuned! Dutchman’s Flat, the cheese next on the plate, is a raw goat’s milk cheese made by Juniper Grove Farm in Redmond (no, not that Redmond–this one is in Oregon). 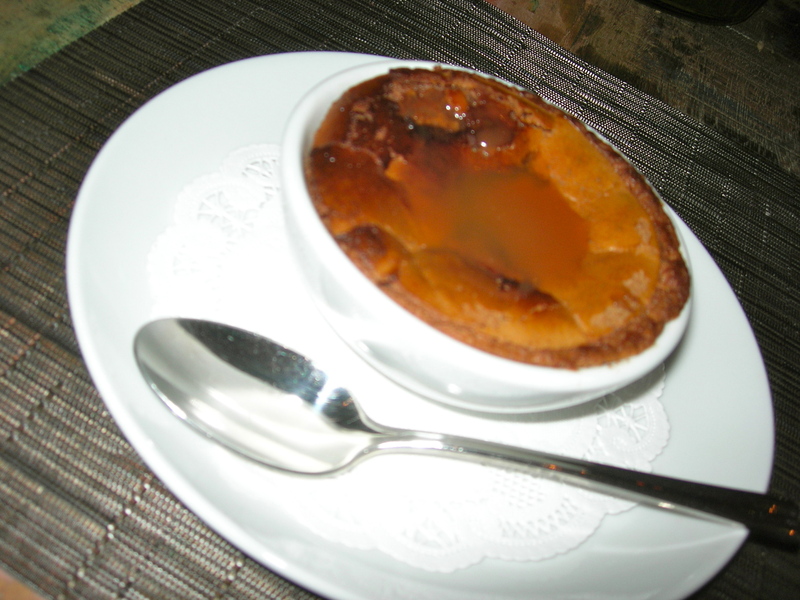 I found it a little chalky; Tami says it is very good with fig compote and similar cooked fruit. On to the firm cheeses. 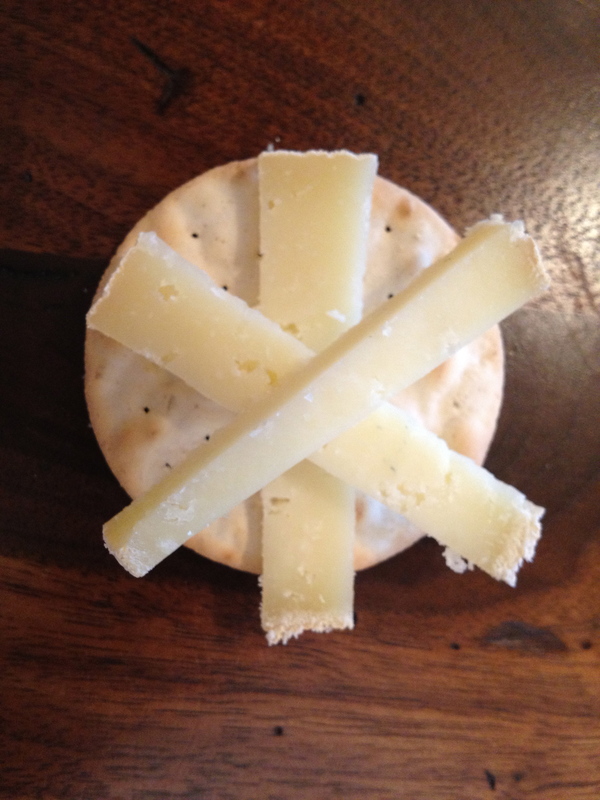 At 6:00 is Mopsey’s Best, a manchego-style cheese made from raw sheep’s milk that had a nice rich, deep flavor. (Maybe because sheep’s milk is 8% fat or more, compared to a meager 4% for cows and goats?) Went out and got more!–It’s great for simple munching. The next two cheeses, Dulcinea from Larks Meadow in Rexburg, Idaho and Brindisi from Willamette Valley Cheese in Salem, Oregon, were both really nice, but I especially loved the last of this batch, the Classico Reserve made by Tumalo Farms in Bend, Oregon. (The owner, I gather, made his fortune from WebMD and then retired to tend his 300 goats.) Like a Gouda, it is brined, and has a vaguely sweet taste and a firm but creamy texture with a tiny bit of crunch. I couldn’t resist more of this one, either–I served it with just a curl of salami on top. 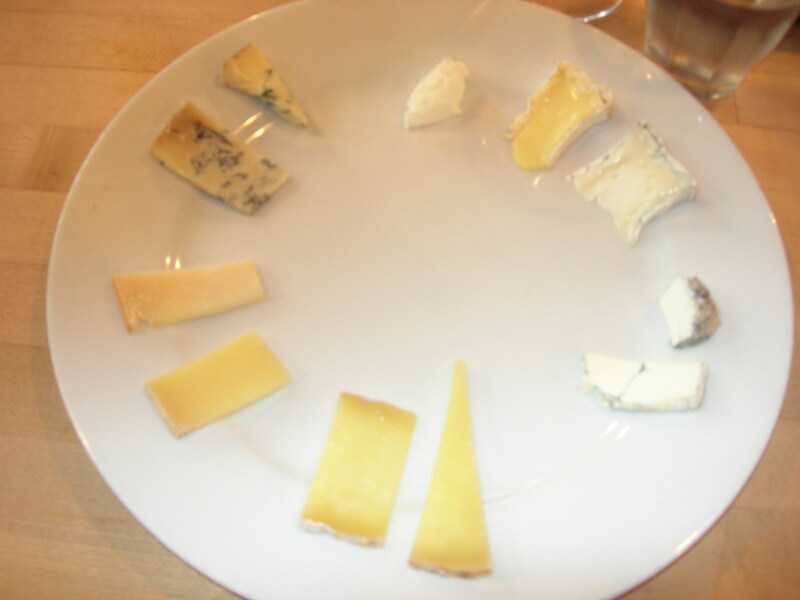 The final two cheeses on this plate were the blues. (My notes tell me that, to get the characteristic blue marbling of this cheese, the makers pierce the cheese wheel as it ages to enable the mold to grow inside.) The first one, Billy Blue, from Oak Leaf Creamery in Grants Pass, Oregon, is unusual in that it is made from goat’s milk. The second one, Caveman Blue from the Rogue Creamery in Central Point, Oregon, was well-known to me (another well-established producer whose products appear in better-cheese cases in area grocery stores), and still remains a favorite–sweet and pungent at the same time. Get some, if you like blue! 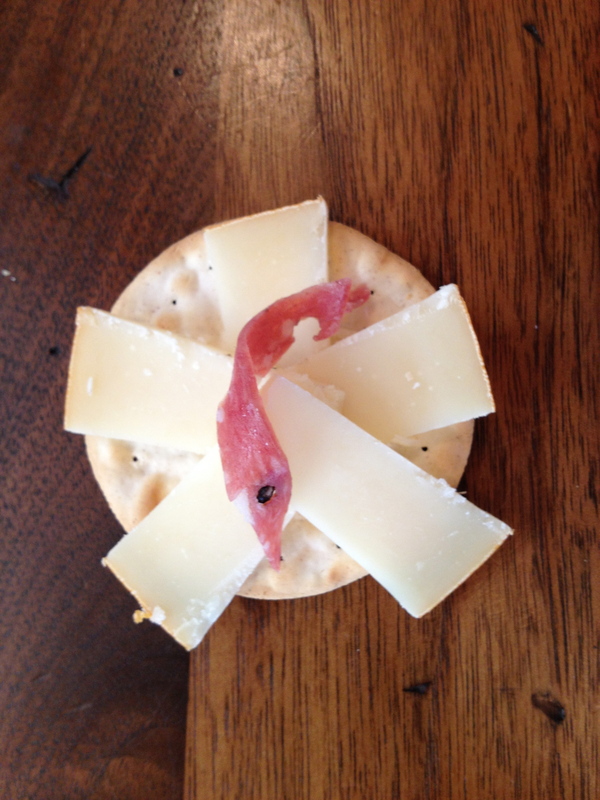 Eleven cheeses!–But we weren’t done. 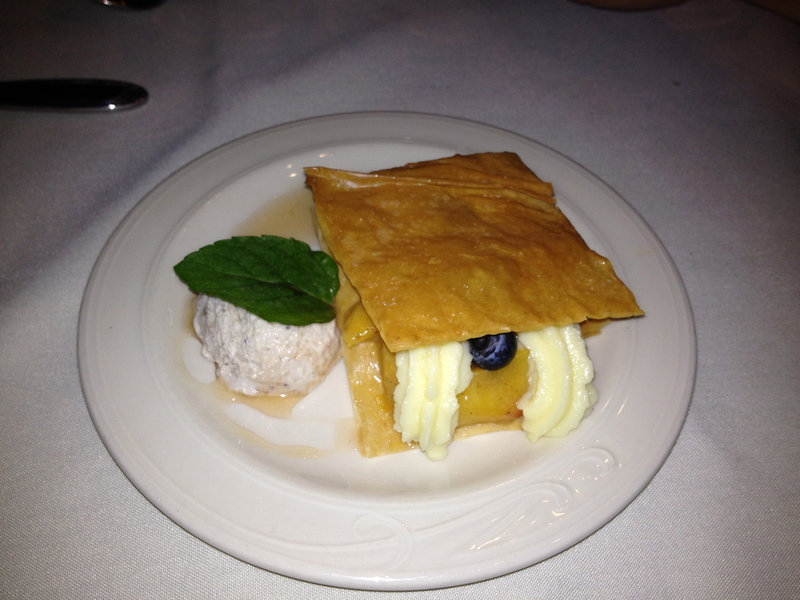 The last two tastes were really desserts made from cheese. The first was Chocolate Goat Chevre Truffle from Briar Rose Creamery in Dundee, Oregon–made with just those ingredients. So good I wanted to throw myself on the floor with it. (But when I went back to get more–say a gallon or so–I learned that the makers have suspended production for a couple of months while they move to a new farm. Trying to be patient here . . .) The second taste was Frangelico from River’s Edge Chevre in Logsden, Oregon–fresh chevre, Frangelico liqueur, roasted hazelnuts, and brown sugar. Also delicious! (but for a chocoholic like me, doomed by coming second). Get all these cheeses and more from Sheri at The Calf and Kid!–She has an amazing selection, sourced not just locally but internationally, and she and her other staff are knowledgeable and friendly. Not sure?–Ask for a taste; they are happy to help. And be sure to visit Tami’s website, the Pacific Northwest Cheese Project, for cheese recipes, news, profiles, and much, much more! At any rate, with that many volunteers to wedge into my small house, I went into planning overdrive. I made recipe packets. I made shopping lists. I did walk-throughs. 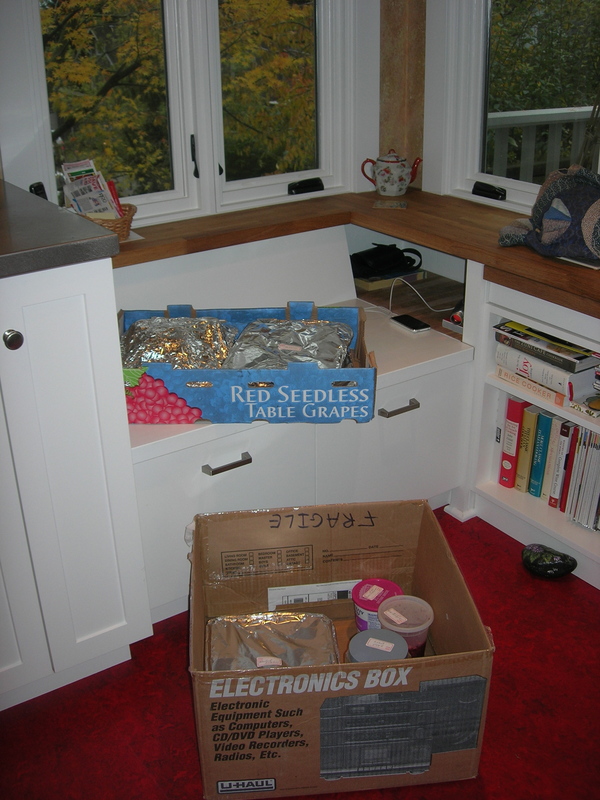 As it happens, I have lots of party paraphernalia–folding tables and chairs, leaves for my dining room table, platters, bowls, you name it–so I dragged it all out and converted my living room, dining room, and kitchen into food-prep stations. I asked my volunteers to come in two shifts, one for 4:00 and one for around 6:00. 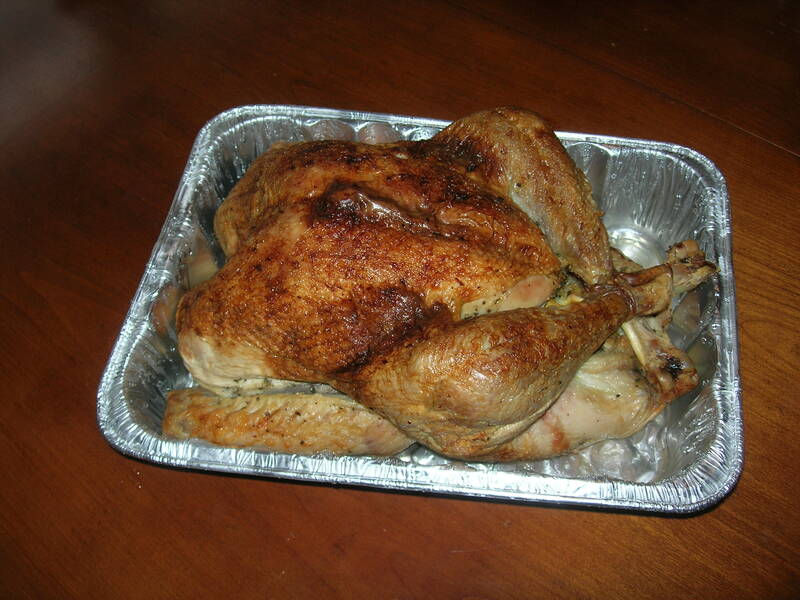 Tuesday evening, I roasted the turkey, saved the pan drippings, and boiled the giblets (ready to make gravy!). Then Wednesday afternoon, I put out munchies, poured a glass of wine, and called myself ready. We had five recipes to make: cranberry-orange relish, cornbread dressing, mashed potatoes, sweet-potato casserole, and giblet gravy. I tried to split the recipes into two stages; the idea was that the 4:00 crowd would get things going, then the 6:00 crowd would finish up. I pictured people arriving maybe a little bit late, snacking, chatting for a while, and eventually getting down to work. Then Mr. Reality came through the door, and my plans jumped out the window. These people showed up on time and ready to go! Here’s the Vlachos family making short work out of my cornbread dressing recipe. Darivanh (that’s her in black) turned out to be a power chopper; Vasili (seven years old) and Suriya (three years old) pulverized bread slices and cornbread, stirred eggs, poured broth, and kept us smiling. Laki (in tee shirt) kept everything going in the right direction and did plenty of boy-wrangling. 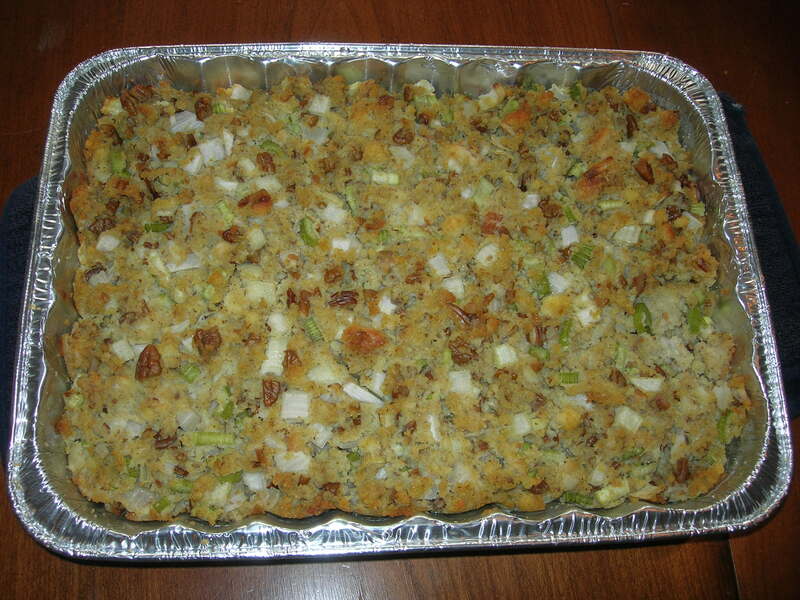 The result?–The dressing in the pan (two pans, actually), ready to bake, before the end of the first shift! So-o-o, here comes my new 6:00 crowd of nine people, and I am standing here with five finished dishes! 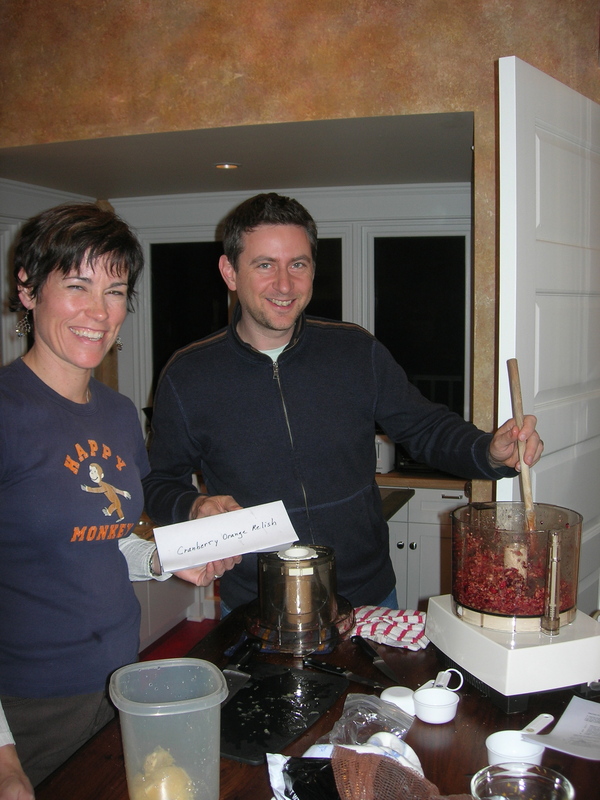 We stared at each other blankly for a couple of minutes, then did a quick inventory and figured out that we could make another round of relish, mash, and sweet potato (thank heavens for warehouse shopping–a ten-pound bag of spuds goes a long way). 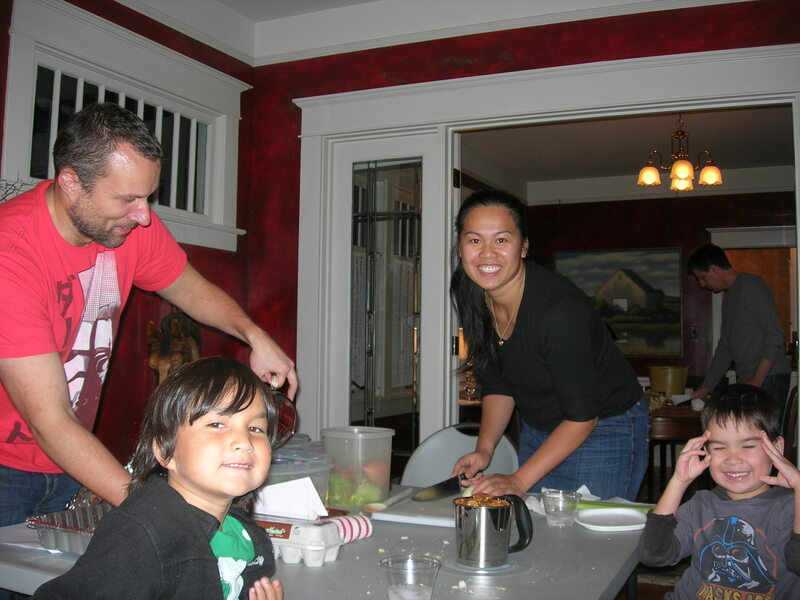 Here’s Regina Derda and husband Michael Coleman fin ishing the relish (oh say 30 minutes after they got here), and my sweet-potato gu ys (Brian Espinosa, his sister Gretchen, and Thuy Duong)– also all done with cooking and dish-washing. 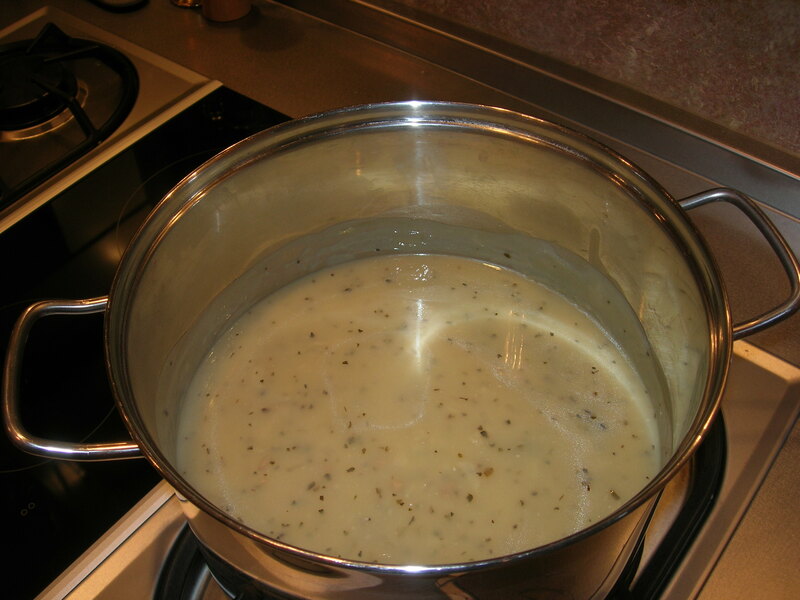 I didn’t get shots of the Gravy Amendment Team (Liz Diether-Martin and Diedre Girard), who figured out how to stretch the giblet gravy into a whole second batch while keeping it thick and flavorful. (How did you do that?) 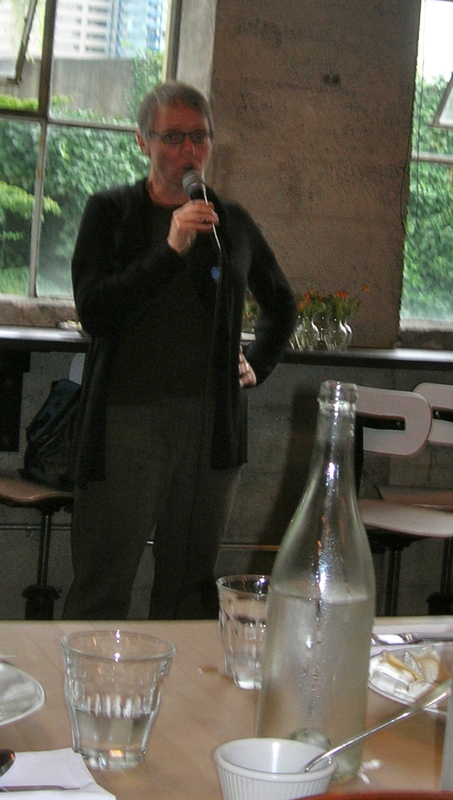 And I also missed getting a shot of Julie Brunett (thank you for the extra pans, Julie!) and her six-year-old son Soren, who proved to be a mighty stirrer of mashed potatoes (and who cleaned one of the mixer’s beaters the old-fashioned way–and pronounced the potatoes very tasty). (Intermezzo!–Midway through the afternoon, the folks from Lefever Holbrook Farm delivered my community-supported agriculture (CSA) meat order–half a lamb, rabbits, and a heritage Christmas turkey. This stuff filled up two coolers! Here’s Conor with one and Madison with the other. What a treat to have them join us, if only briefly! 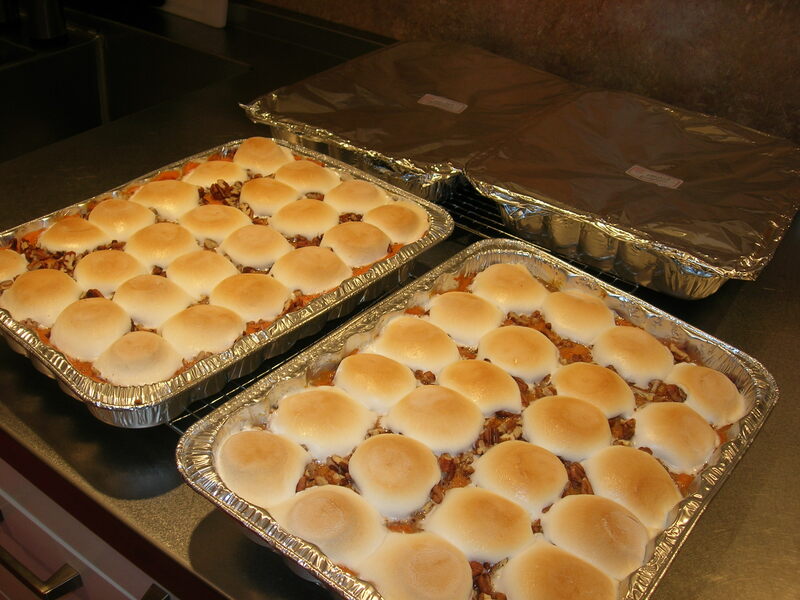 Early Thursday morning, I baked the two pans of sweet potato casserole until the marshmallow topping browned and bubbled, I warmed up the other dishes, and boxed everything up for delivery (here’s less than half of it; it took me three trips to get everything in the car). We made a real feast!–two cartons of cranberry relish, two pans of sweet potato casserole, two cartons of giblet gravy, two pans of cornbread dressing, four pans of mashed potatoes, and one roast turkey! 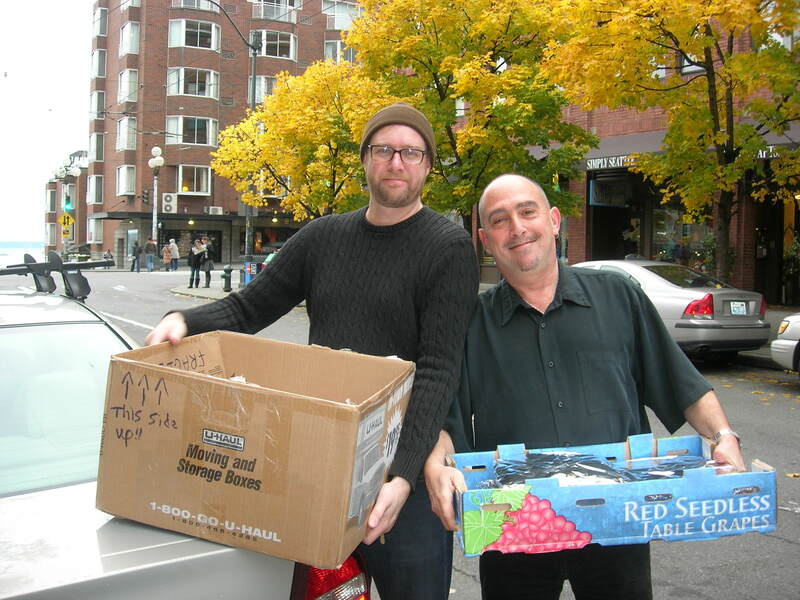 Plymouth Housing Group asks volunteers to drop off their dishes at specific apartment buildings; PHG employees Brian Hatfield and Alan Berliner took my delivery at the Gatewood Apartments downtown by the Pike Place Market. Success! Back home, I ignored the task of putting my house back in order to sit, feet up, cup of tea in hand, and enjoy the event again in hindsight. 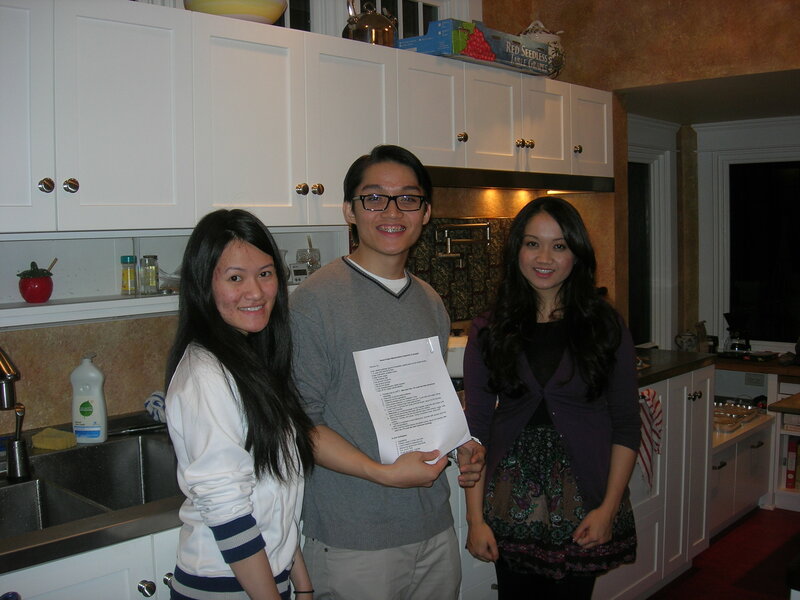 It had been a simple day, really; some people came over to my house and we cooked some dishes for other people to eat. For the most part, we hadn’t known each other before, but the conversation was easy, the humor ready, and the hands willing and skillful. No spills, no breakage; only one Band-Aid dispensed. Not TV-worthy; no shoving or throwing elbows. Just a houseful of people taking a few hours out of their holiday to make life a little sweeter for someone else who was having a rougher go of it. There are many ways to get lucky!–but this time I hit it big. Thank you, my wonderful volunteers, for giving me a great Thanksgiving! You know me–when it comes to holidays, I’m pretty far over on the Bah Humbug end of the continuum. But I’ve had a great year, and Thanksgiving is coming! So I’d like to invite five of you over to my house on Wednesday the 23rd from 4:30-6:30 to help me prep part of a turkey dinner for the Plymouth Housing Group‘s holiday celebration. Come on over on Wednesday to help me with the chopping and dicing and peeling and measuring and mixing! (I’ll cook it up in time to deliver it hot and ready to eat on Thursday morning.) For your troubles, I’ll provide drinks and munchies for you, and all the ingredients for the dishes we prep. Why just five of you?–My house is small, and I want all of the chopping and dicing to be done on food, not people! So sign up early (by replying to this post, or twitter, or facebook, or however we usually get together)–first come, first served! 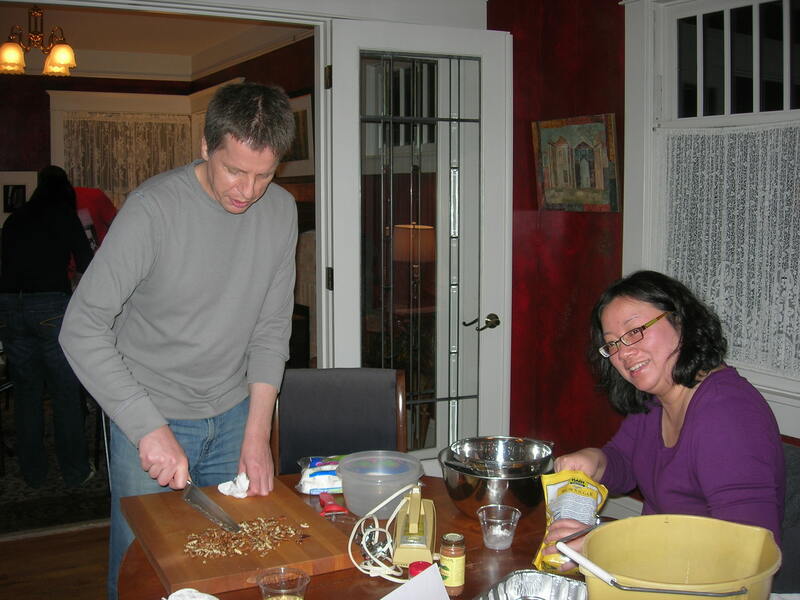 Not in the Seattle area?–Find a group to cook for in your own town, and (if the time zones are good) we can set up a Google Hang-out to chat while we work. You know you’re leaving work early on Wednesday anyway; why not carve out a couple of hours to come by and help? We’ll have a great time and help brighten up the day for some other folks as well. I can’t wait to see who wants to play!